They are very professional, and they know the business. They kept me up-to-date on the status of my car, and their communication was good. They are really good, very professional, and they give you top-off services. They are very honest, professional, and they don't take shortcuts. Just keep up the good customer service and professionalism, and people will come. They took care of my car pretty quickly. There wasn't a lot to it, because it was through insurance. They kept me up-to-date on when my car would be ready. When a part's delivery was delayed, they let me know ahead of time. American Canyon Collision Center provides a wide variety of collision services for all types of foreign and domestic vehicles, including frame straightening, wheel alignment, color matching and detailing. The family-owned and operated company uses state-of-the-art equipment (including a Chief Velocity laser frame measuring system), employs estimators who speak both English and Spanish, and backs its workmanship with a lifetime warranty for as long as customers own their vehicles. Owner Joel Ramos Diaz, who has more than 20 years of collision repair experience, founded American Canyon Collision Center in 2005. Mr. Diaz says his estimators, repair technicians, painters, and detailers take pride in doing everything they can to make the repair process straightforward and fast for customers. The company’s staff members also help clients with their insurance claims, including loss management. 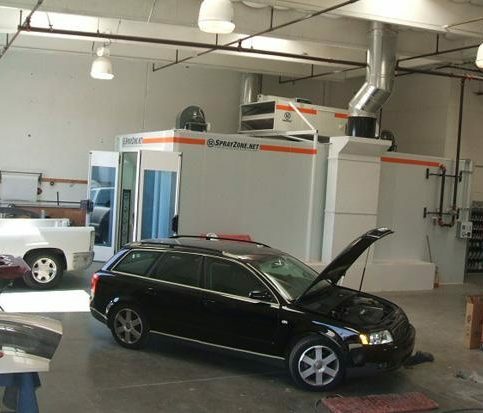 American Canyon Collision Center features an Ozone Waterborne Refinishing Paint Booth that’s energy-efficient and environmentally friendly, and it uses German-engineered Standox paint to provide precise color matching. The company is also a direct repair facility for AAA, State Farm, Farmers Insurance Group, Kemper Corporation, Wheels Insurance and LeasePlan Insurance. 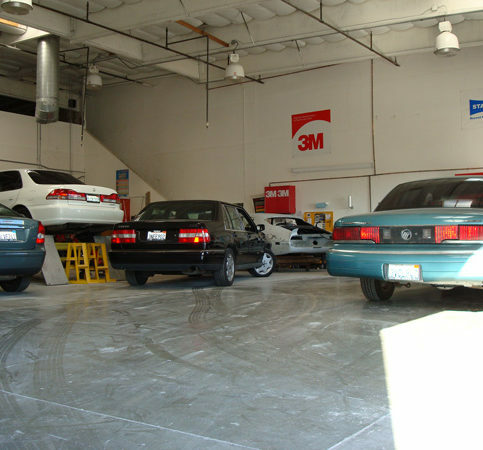 American Canyon Collision Center has been repairing foreign and domestic vehicles at its American Canyon facility since 2005. 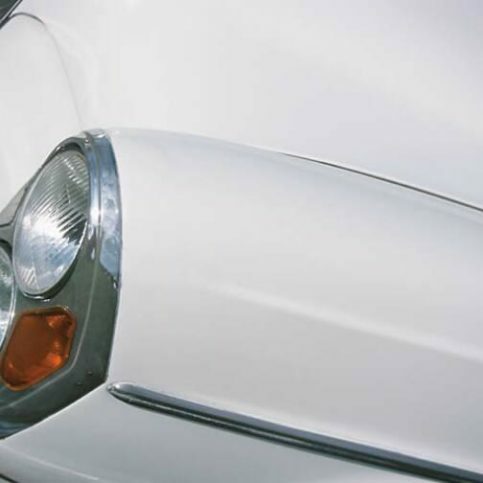 The family-owned company provides an extensive array of collision repair services, with special expertise in frame straightening, wheel alignment, color matching and auto detailing. Other services include free mobile estimates at customers’ homes or workplaces, in-house rental vehicles and towing assistance, and local customer pick-up and delivery. 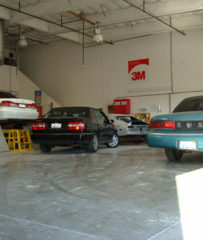 The importance of choosing an I-CAR Certified auto body shop. When it comes to auto body repairs, customer satisfaction isn’t the only thing at stake—safety is involved as well. There are few other industries where a faulty repair job can present a potentially life-threatening situation for the customer. For example, it’s crucial for an auto technician to know exactly how an airbag should be installed in a vehicle; if it isn’t properly installed, it can deploy unexpectedly and cause serious or even fatal damage to the driver or passenger. This is just one of many scenarios where an auto technician’s lack of expertise can pose undue risk for the customer. If you want some light body work done on your car but don’t want to spend a lot of money, wait until it’s already in the shop for major repairs. For instance, if your car’s front or rear bumper is being repaired on an insurance claim, it can be a good time to have small dents on the hood or fender removed. Since your body shop is already working on that area of the car, you’ll likely get a better price than if you make a separate appointment for that service alone. A: The average turnaround for most jobs is two to four days, but before we give you a firm time estimate, we have to assess your car’s damage and check the availability of parts. We know how much people depend on their vehicles, so we always work as quickly and efficiently as possible. Q: Can you provide transportation while my car is being serviced? A: Yes. We’re associated with Hertz, so we can arrange for a rental car right at our shop. We also have a shuttle service that can pick you up or drop you off anywhere within Napa, Vallejo, Fairfield and American Canyon. Q: Do you accept all types of insurance? A: Yes. The most common insurance companies we deal with are State Farm, Farmer’s and AAA, but we also work with GEICO, Allstate and many more. 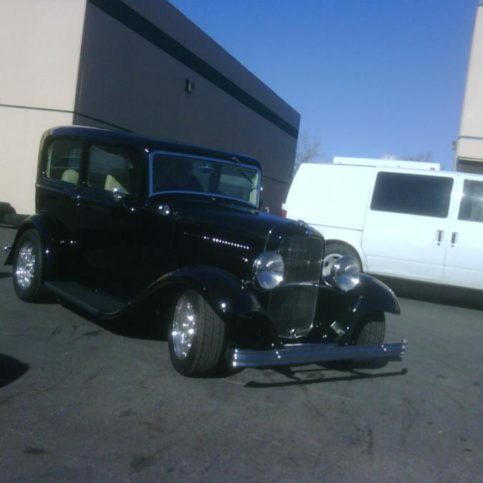 Q: Can you provide an exact paint match when you fix my car? A: Absolutely. We use highly sophisticated equipment and Standox paint (a top-of-the-line product made in Germany) to provide expert color matching. Q: How can you ensure that my car’s frame is properly measured? A: We use a state-of-the-art laser frame measuring device called the Chief Velocity Computerized Measuring System, which essentially removes any guesswork from the process. Lasers will measure the precise damage to your vehicle’s frame alignment, and a computer report will be generated that details the exact position of the frame before, during and after repairs. Joel Ramos Diaz is owner of American Canyon Collision Center, a Diamond Certified company since 2009. He can be reached at (707) 341-6953 or by email. A: A ’72 Chevrolet Nova. To prevent the safety risk posed by reduced visibility, look at your car’s headlights and see if they appear foggy. If they do, bring your car to a local automotive shop to have them repaired. After sanding off the oxidized layer, a technician will apply a UV clear coat protectant to shield your headlights from the effects of sunlight. Keep in mind that you’ll need to have your headlights recoated every few years, as sunlight will gradually erode this clear coat. What we use is we use UV ray clear-coat protecting in order to get everything back into OEM standards. Now this will increase your visibility again by a lot during the nighttime. And you can always do something about it. Go ahead and contact a local professional about the product. American Canyon Collision Center : Average 9.4 out of 10 based on 163 unique customer surveys of customer satisfaction. They are pretty honest with their prices and quotes. If you have a problem, they are willing to listen and talk about it. My bumper kind of came off when I got it done, and they buckled it back together, no problem. They are right on it, and they take care of it completely. I really liked their services. They also matched the paint well. It is the place to go. They did a good job and finished it on time. I had my car done there, and I would say use them. I would say it is the best place to go. The customer service, their effectiveness, and efficiency, everything was great. Their service is good, and they are on time. It is a good place to go and get your car fixed. They are dependable, courteous, and they do a good job. I would tell them to go there for repairs. They repaired my car quickly. They were prompt and promised the car would be done at a certain time, and they had it ready. They're thorough, considerate, and they evaluate the situation to make the best decision. I thought it was pretty good. They are very knowledgeable about the work that they do. They are professional, get back to you very quickly, and they explain everything so that you understand why and how. They did the work very well, and I was very satisfied. I would say to try it. They were fast and took care of the situation. They are honest and upfront. I have known them for quite a long time, so I trust that since he has been in business for a while, he is loyal. They are professional and timely. They are very helpful and receptive to customer needs. The people who worked there, honestly, it was right on.